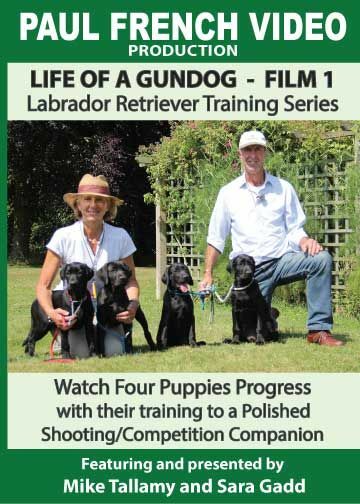 Ground breaking Labrador Retriever Training Series with Mike Tallamy and Sara Gadd. The Brindlebay and Birdsgreen Way of training now on film. Watch four puppies; Brindlebay Filleigl, Brindlebay Brigands, Brindlebay Boconnoc and Brindlbay Towie progress under the guidance of Mike & Sara, through their different stages of training. Learn how to adapt your training for different training needs and personalities.